Profits from property and infrastructure offset slight losses in offshore & marine. Keppel Corporation’s profits for the second quarter of 2018 leapt by 44.4% to $246.16m from $170.45m last year. Revenue dipped 2% to $1.52b from $1.55b last year. According to its financial statement, revenue from the Offshore & Marine Division increased by $158m to $607m due mainly to revenue recognition in relation to the jackup rigs sold to Borr Drilling Limited. Revenue from the Property Division declined by $298m to $244m due mainly to lower revenue from Singapore and China property trading. The Infrastructure Division’s revenue grew by $126m to $647m as a result of increased sales in the power and gas businesses as well as progressive revenue recognition from the Keppel Marina East Desalination Plant project. The Offshore & Marine Division’s pre-tax loss narrowed down to $11m from $15m last year, mainly due to lower operating results and the absence of the gain from the divestment of Keppel Verolme, partly offset by a higher share of associated companies’ profits and lower net interest expense. 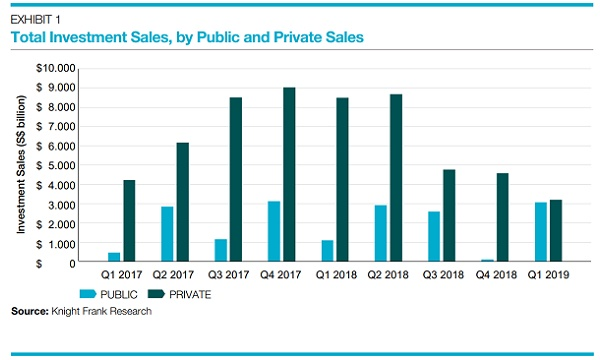 Pre-tax profit of the Property Division increased by $122m to $243m due mainly to en bloc sales of development projects (Keppel Bay Property Development (Shenyang) Co. Ltd., Keppel Township Development (Shenyang) Co. Ltd. and Quoc Loc Phat Joint Stock Company), and fair value gain on Nassim Woods which has been designated for redevelopment for sale. The positive variance was partly offset by lower contribution from Singapore and China property trading. Pre-tax profit of the Infrastructure Division increased by $9m to $44m due mainly to dilution gain following Keppel DC REIT’s private placement exercise as well as higher contribution from Environmental Infrastructure and Infrastructure Services, partly offset by lower contribution from Energy Infrastructure and share of Keppel Infrastructure Trust’s loss. Pre-tax profit of the Investments Division declined by $39m to $5m due mainly to share of associated companies’ losses in the current period as compared to the share of associated companies’ profits in the same period last year. For the first half of the year, Keppel’s profits jumped 38.8% to $583.63m from $422.91m last year. Meanwhile, revenue grew 6.8% to $2.99b. Keppel noted that for the first half of 2018, the Property Division sold about 1,420 homes, comprising about 130 in Singapore, 800 in China, 80 in Vietnam, 150 in Indonesia, 225 in India and 35 in Thailand. 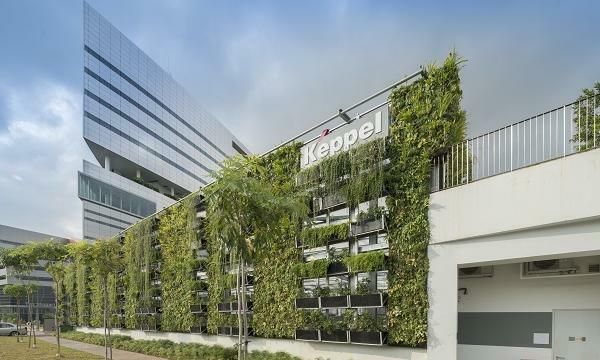 Keppel REIT’s office buildings in Singapore and Australia maintained a portfolio committed occupancy rate of 99.3% as at end-June 2018. The Directors declared a one-tier interim cash dividend of 10 cents per share and a one-tier special cash dividend of 5 cents per share (2017: interim cash dividend of 8 cents per share tax exempt one-tier) in respect of the half year ended 30 June 2018. The special dividend is to commemorate the Company’s 50th anniversary since its incorporation. The interim and special dividends will be paid to shareholders on 7 August 2018.